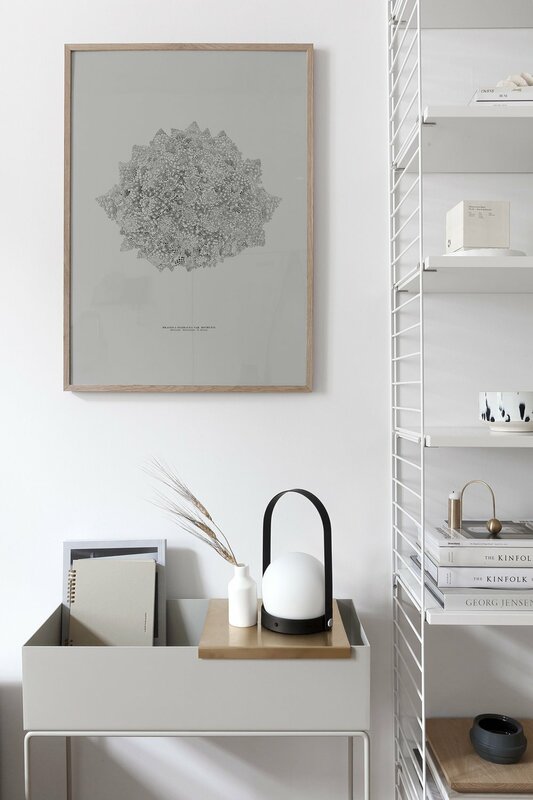 Our dear blog-friend Sarah from the design blog Coco Lapine has done it again. A wonderful serie of new prints, consisting Romanesco Broccoli, an abstract representation of a Romanesco Broccoli. Every detail of the Romanesco is represented by a watercolor dot and all dots together form the entire vegetable ( this one will fit our kitchen very well!) the La Feuille, Pampas and Kamut. As we already loved all of her last work, she really surprised us with these new prints. Sarah is a Belgian designer living in Munich. She is passionate about graphic and interior design. You can find all of her prints here.